Brazil is vast. It is the world's fifth largest country by population (210 million) and land mass (3.3m square miles). It makes up 47% of South America and is one of the most biodiverse countries with an estimated 4 million animal and plant species*. It is home to the iconic Christ the Redeemer statue atop Mount Corcovado, the world renowned and flamboyant Rio Carnival, and natural wonders such as Iguaçu Falls, the Pantanal and the Amazon. The country has seven thousand kilometres of coastline with popular beaches such as Copacabana and Ipanema. Around 6.4 million tourists visit Brazil each year, one of the fewest of any country in the world as a percentage of its total population. Half of them head to Rio*. Brazil is home to 20 UNESCO World Heritage Sites. 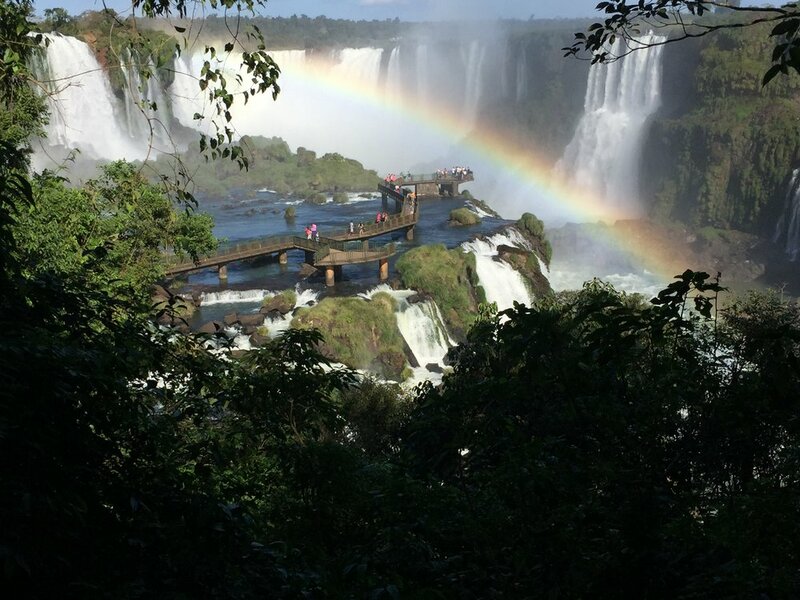 One of the best known and impressive is Iguaçu Falls. Considered one of world's largest waterfalls with 275 drops spanning 2.7 kilometres. Beautiful rainbows are created from the spray generated from the water pressure*. The Amazon River is the world’s largest by volume of water discharged. Around 209,000 cubic metres per second flow into the Atlantic Ocean – more than the next seven largest rivers combined and enough to fill Lake Baikal – the world’s deepest lake – in less than four years. During the wet season the river is up to 48 kilometres (30 miles) wide*. The Carnival in Rio de Janeiro is a festival held every year before Lent and considered the biggest carnival in the world with 2 million people per day on the streets. The first festivals of Rio date back to 1723*. Eastern Brazil has a consistent 26-30°C (79-86°F) temperature year-round with high humidity on the coast. The pleasant sea breezes helps take the edge off. Expect the odd shower January until June. The south experiences its dry season March to November and wet season December to February. Winter (June to September) is usually cloudy with some rain, although there are still plenty of sunny spells. Evenings can be cool. The Amazon can be visited year-round but is best in July/August. Expect it to be hot and humid. For the best opportunity to see wildlife in the Pantanal visit during the dry season (May until October). Expect higher accommodation prices during school holidays (Easter and July). In addition, expect minimum night stay requirement during Rio Carnival time (February).